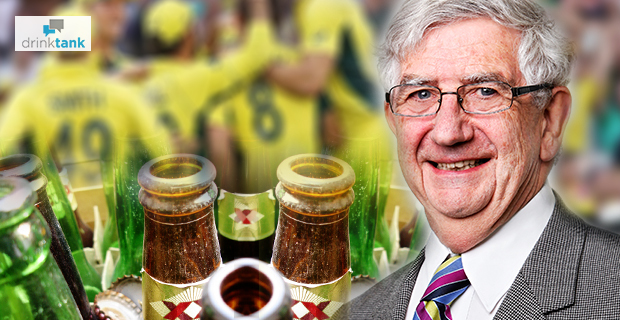 Michael Thorn is right; the ICC Cricket World Cup was an alcohol-drenched event. No longer, as the game is subverted by money and alcohol. As I write, the ABC is broadcasting the “performance-enhancing” drug scandals in the AFL. Just as scandalous, more scandalous, is that sport is a vehicle for promoting our most socially damaging drug: alcohol. To adolescent binge drinking, we respond – they should be taught at school; the drinking age should be raised; they need other outlets and activities; they should be disciplined and so on. But in this hand-wringing adults are forgotten. It is the behaviour of adults that the young seek to emulate. They aim to become like us. In becoming adults, young people test limits and learn social skills for the future. They want to be acknowledged, to fit in, to be one of the group. Herein lies the problem. Skilled marketers can exploit these vulnerabilities and link sporting achievements, heroic performances, glamour and attractiveness to the brands of alcohol; welding loyalty to a brand. There are physiological and psychological reasons for concern about drinking in adolescence. A lifetime pattern of heavy drinking is more likely to be established if drinking starts at a young age and the developing brain is at risk. Governments know this and restrict alcohol ads during TV viewing times of young people. But sport gets around it. That advertising alcohol creates problems is accepted, but not by all. The alcohol industry in 1998 set up a voluntary Alcohol Beverages Advertising Code to adjudicate complaints about alcohol advertising. The code covers – the responsible and moderate portrayal of alcohol, responsibility towards minors, responsible depiction of the effects of alcohol and safety. It is hardly surprising that independent evaluations have shown its determinations generally favour the advertisers. And it has been criticised for lack of transparency and inability to cover ‘new media’. Also there are other advertising codes for television, radio, outdoor and publishers’ which include alcohol in their codes of practice. 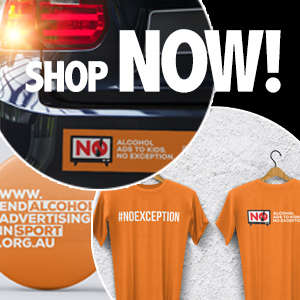 An alternative and independent body was set up in 2012 by the McCusker Centre for Action on Alcohol and Youth and the Cancer Council of Western Australia– the Alcohol Advertising Review Board. It has 122 independent panel members. Australia has tinkered around the edges of controlling the promotion of alcohol and balks at going as far as countries like France and New Zealand. France, a country with a passion for alcohol, has banned alcohol sponsorship, advertising in cinemas and television and targeting young people. Alcohol is not ice cream or cornflakes. It has toxic effects on the mind and body with manifold social consequences. Yet worldwide it is one of the most heavily advertised products. More than 94% of Australian students aged 12 to 17 have seen alcohol advertising on television as well as in magazines, billboards and a myriad of other locations. Current industry self-regulation is an abject failure. If there is any good news out of the World Cup ‘booze up’ it is that the cricketers’ behaviour has offended the sensibilities of many Australians. Time then, to break the nexus between sport and alcohol. This post first appeared on John Menadue’s blog ‘Pearls and Irritations’ on 4 February 2015.